NEW YORK (Reuters) – U.S. donations to charity rose to $298.42 billion last year, but were still $11 billion below a 2007 record as nonprofits battle through the sector’s second-slowest recovery from recession in 40 years, a study released on Tuesday said. 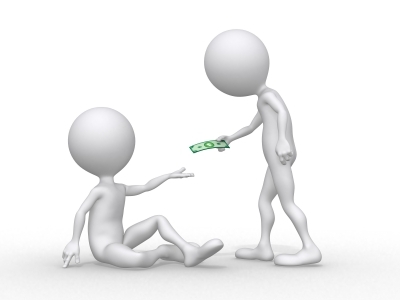 Giving by Americans increased 4 percent in 2011 compared with 2010, with individual donations accounting for nearly three-quarters, according to the 57th annual report by the Giving USA Foundation and the Center on Philanthropy at Indiana University. The study estimated 117 million U.S. households, 12 million corporations, 99,000 estates and 76,000 foundations gave to charities during the year. Their money went to around 1.1 million registered charities and some 222,000 American religious groups. “America‘s charities have been traveling down a very rocky road in recent years,” said James Yunker, chairman of the Giving USA Foundation, a philanthropic research group. “While a cautious celebration might seem to be in order because 2011 saw the second year of growth in individual giving, heed must also be paid to the fact that … the American economy remains volatile on many fronts, and that could have an impact on giving going forward,” Yunker said. Revised estimates showed that charitable giving by Americans hit a record $309.7 billion in 2007, then dropped to $290.9 billion in 2008 and $278.6 billion in 2009 during the recession. “The average rate of growth in charitable giving in 2010 and 2011 is the second slowest of any two-year period following all recessions since 1971,” said Patrick Rooney, executive director of the Center on Philanthropy at Indiana University. “The exception was the two-year period following the recession of 2001, which followed on the heels of the most significant attack on American soil since 1941,” Rooney said. The report found that individual giving accounted for 1.9 percent of disposable income last year, the same as in 2010 and 2009, still below a high of 2.4 percent seen in 2005. Donations to other sectors, including education, human services, health, arts and culture, and environmental or animal organizations all increased, the report said. International affairs recorded a 7.6 percent increase in donations to more than $22 billion. “International giving has increased rapidly in the past decade, making it the fastest-growing subsector,” said Una Osili, director of research for the Center on Philanthropy. Revised estimates in the report showed that total charitable giving had increased every year in the past four decades, except for three – 1987, 2008 and 2009.